← Look Who’s 4 Years Old?!?!?! 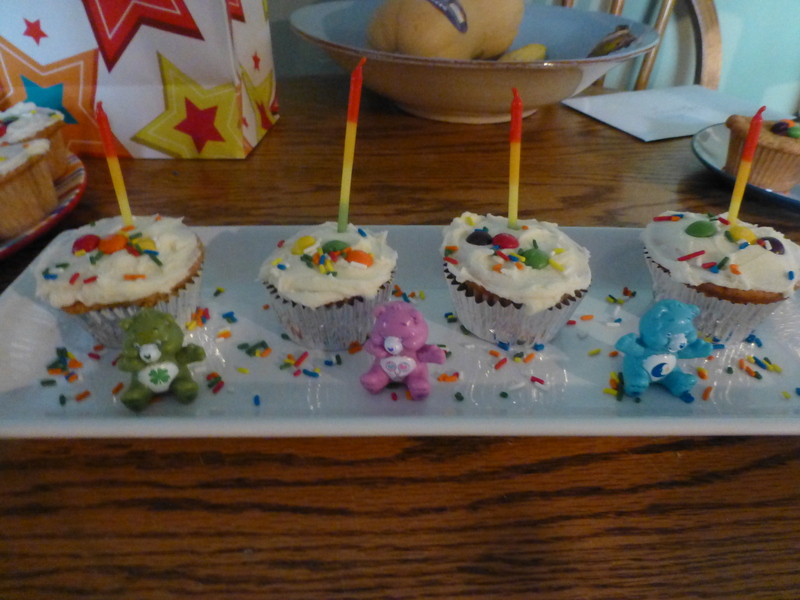 The theme for Li’C’s birthday this year was Rainbows and Care Bears. 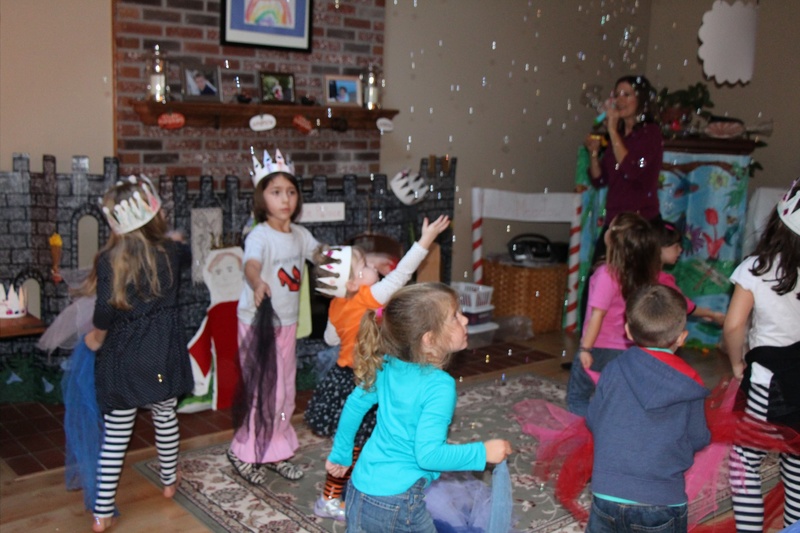 This was a lot of fun for the kids and I and though we did not go as crazy as we did with her princess party last year, we still worked hard to pull off this party. With Care Bears not being a big thing right now, we had to make many of the decorations ourselves. 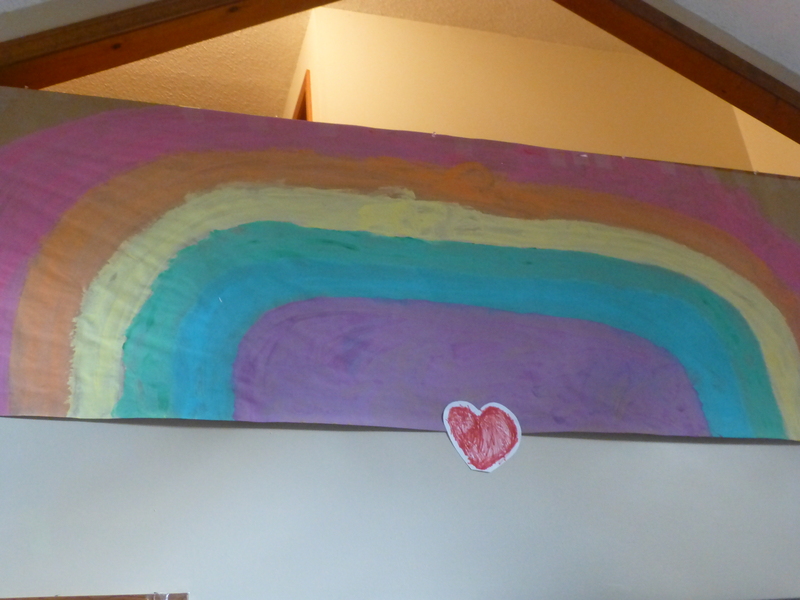 One of our favorite projects was painting a GIANT rainbow for the family room wall, it was messy but a lot of fun. 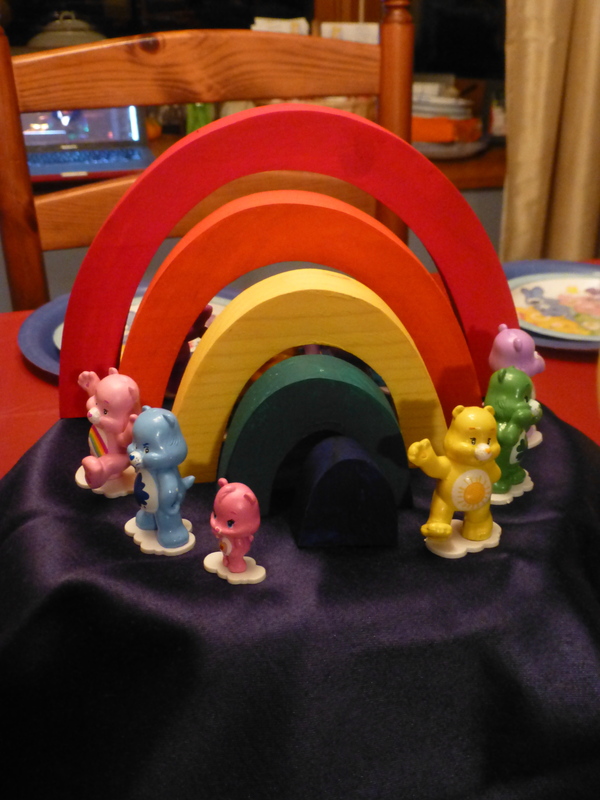 Z also painted a wooden rainbow puzzle that I found on Etsy for Lil’C’s birthday present. This became the centerpiece for her party and one of her favorite gifts. She loves to use it as a play space for her care bears that Mimi got her. 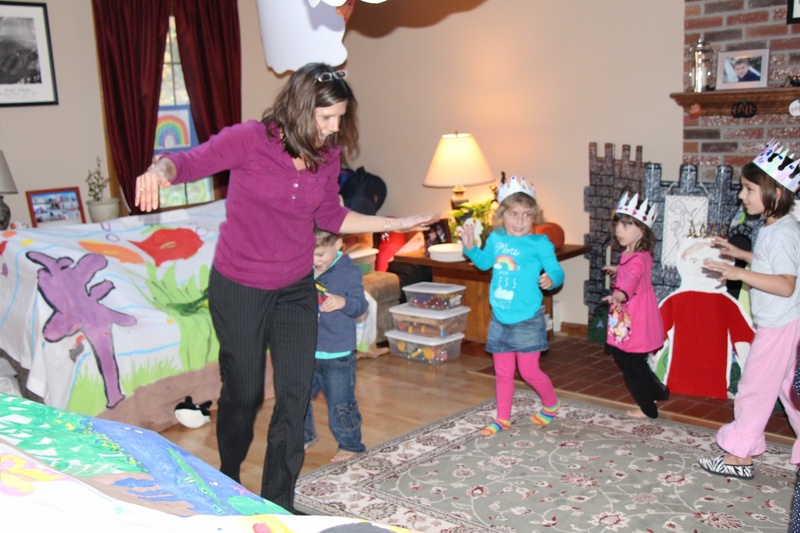 The best part of Lil’C’s party this year was having our dear friend and the kids music teacher, Miss Rose here. 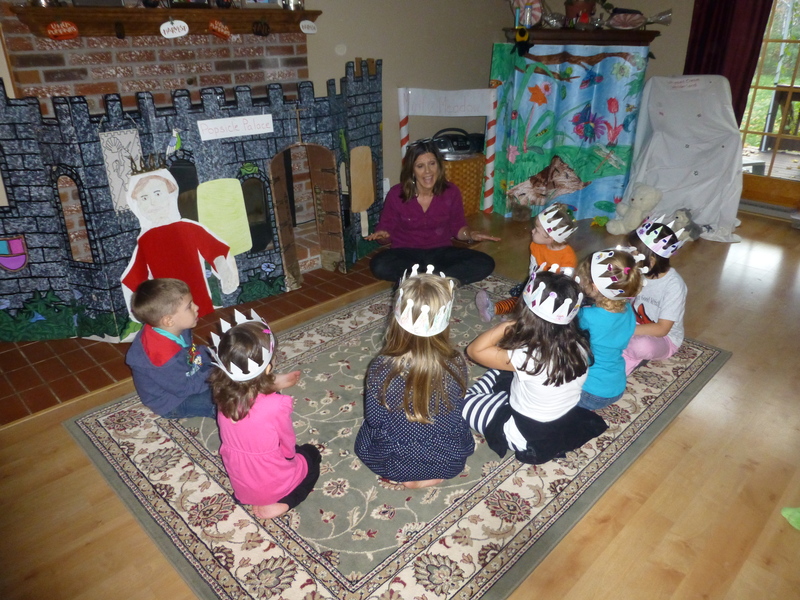 She ran the musical party and the kids had so much fun!!!! 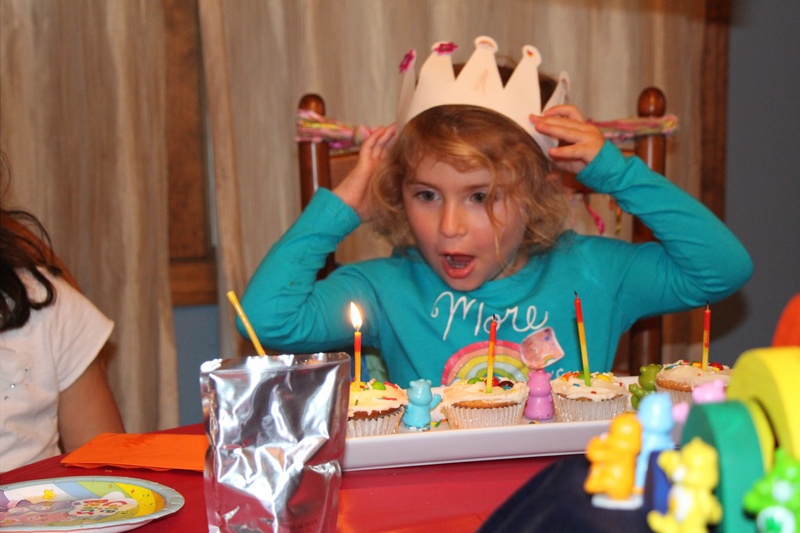 She took her Candy Land Theme party and changed it to a Care-A-Lot theme. It worked really well and the kids had so much fun searching for clues, singing, playing instruments and marching around in their royal best. The cupcakes were decorated by Lil’C herself with rainbow sprinkles and skittles. We also served pizza and “Rainbow Goldfish”. The favors were sweet little bags that contained a small care bear figure, a rainbow crayon , care bear stickers and some fruit snacks.